Shown with natural limestone plinth with granite insert and false chimney breast. 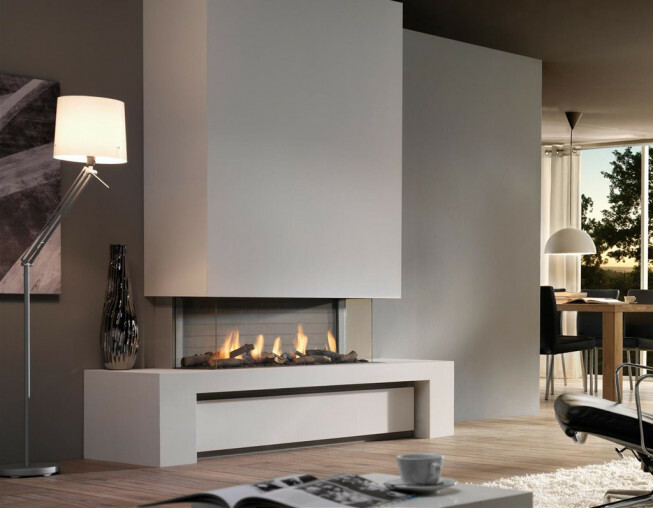 Shown with Dru Metro 100XT/3 sided balanced flue high efficiency gas fire. Can be made using any number of materials including granite, slate and limestone to any size that complements the fire.